When it's time to repair or install a new roof or replace the siding on your house you want to ensure that you are working with a skilled and reputable contractor. 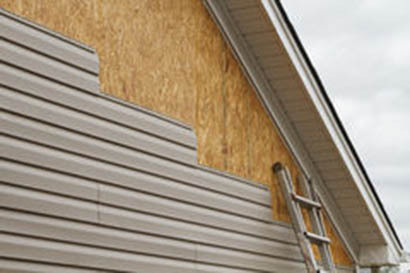 Your roof and siding are the first lines of defense protecting your real estate investment from the challenges of our Georgia climate and you want to make certain that replacement materials are top grade and installed by an experienced, competent crew. You want the professionals at D&R Painting and Contracting LLC. Based in Douglasville we have successfully installed energy efficient roofing and siding materials on homes and businesses all over the greater Atlanta area including Marietta and Kennesaw. Our crews are professional, fast and always leave the site clean and tidy. 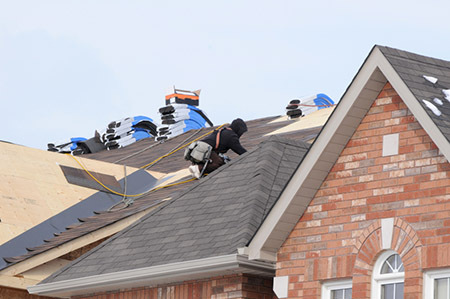 It's an unfortunate fact of life that unqualified roofers and siding contractors have taken advantage of Atlanta area homeowners particularly after storms when the need for repair or replacement is the greatest. We understand a homeowner's need to be absolutely certain about the integrity of the contractor he chooses for his roofing or siding job. D&R was founded in 2003 by David Rivas a construction professional with decades of experience. We are fully licensed and carry comprehensive insurance including workman compensation. There is no high pressure sales pitch and our written quotes detail out precisely the quality of the materials and the labor included. All of our work, materials and labor, are warrantied. We have an extensive list of references and are happy to share them with you. When you choose D&R you are choosing a family owned and operated contractor whose ultimate goal is complete customer satisfaction.